TAKING BACK UP OFFERS! Welcome to Bern Creek an equestrian and animal-friendly community in Sarasota. This large 4 bed 3.5 bath 3 car garage pool home is worth a look! 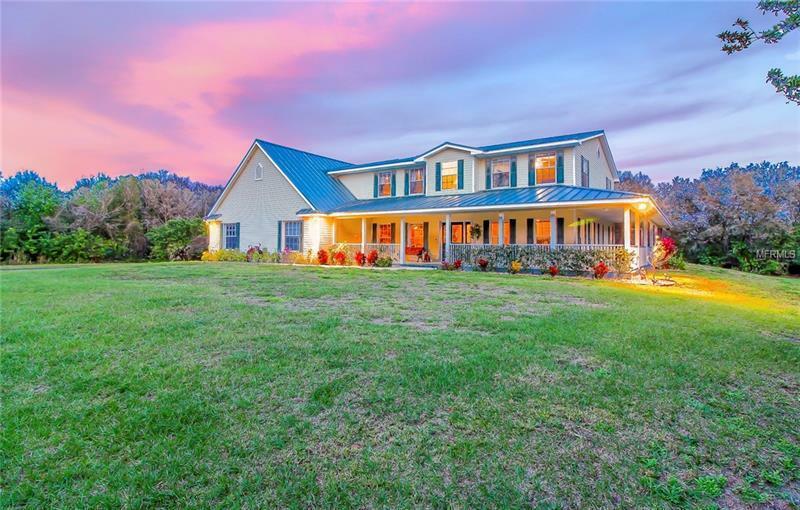 Sitting on 5-acres of privacy on a quiet cul-de-sac the home is surrounded by live oaks and native Florida plants. The exterior of the home features a charming wraparound front porch new metal roof (2016) heated pool and parking for your boat or RV. The interior of the home is 3879 sq.ft. and has been tastefully updated by a professional contractor with refinished hardwood flooring a remodeled half bathroom new kitchen cabinets stainless steel appliances new lighting and Cambridge quartz countertops. Just off the kitchen youâll find the oversized laundry room as well as a very large A/C'd storage room. Downstairs includes a living room and breakfast area separate dining room and 2 rooms that could be used as a den library office or even bedrooms. Upstairs includes 2 bedrooms with a Jack and Jill bath updated vanity and granite countertops. There is also a bedroom with an ensuite bath. The spacious master bedroom includes 2 large walk-in closets. The master bathroom has been remodeled with a glass shower modern cabinets dual sinks stone countertops tile and operable sky light. Bonus: A/C's are 2016 water heater is 2018 and the entire house is pre wired for a generator. Quick access to I-75 and Lorraine Road makes it easy to navigate from this home to any part of beautiful SRQ and its beaches.